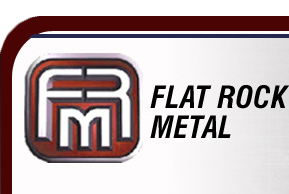 Flat Rock Metal has established a new Customer Log-In capability on its Web Site for customers to view their material inventory and shipping history. This new system was developed by Flat Rock’s Information Systems personnel. Real-time inventory information is available including all mill ID, prime / quarantined status, quarantine cause, in-process / shipping status, etc. The information is available in either english or metric. Shipping information is available including the shipping date, time, Flat Rock Metal shipper / load ID’s, part number and material identification / mill-ID, etc. Customer Log-in and Password can be obtained by contacting the Flat Rock Metal Customer Service or Information Systems Departments.